These are news posts that pertain to the World Interfaith Harmony Week. 2019 World Interfaith Harmony Week is Reaching New Heights! During the Parliament, representatives of Unity Earth, UNIFY, Four Worlds International Institute, Compassion Games, and SINE agreed to co-create a “Synergized Impact” for the 2019 World Interfaith Harmony Week. We aligned and committed to collaborate on The Road to 2020 and to use this 2019 WIHW to expand and deepen our capacity to collaborate. 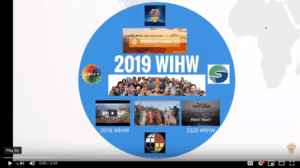 The synergized plan builds upon the last five years of WIHW Compassion Games, our participation with Unity Earth in Ethiopia last year, and the plan for the 2020 WIHW in the Holy Land. The 2019 WIHW will take the SINE Alliance and our commitment to “collective empowerment” to new heights. 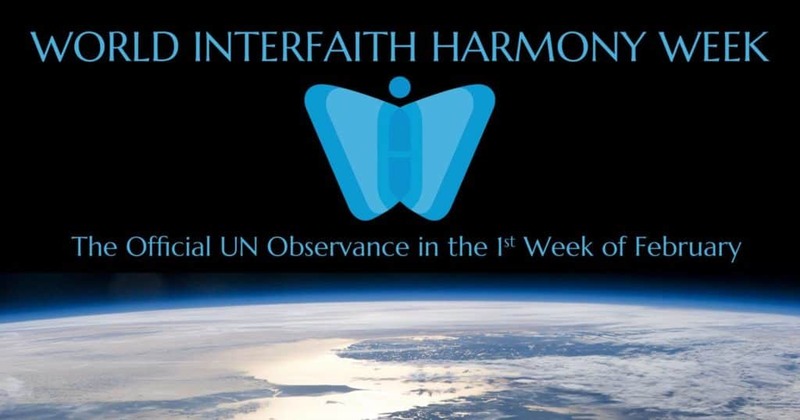 The 2019 WIHW includes the Convergence NYC Weekend and a Global Harmony Week Broadcast including an opening ceremony at the One Spirit Alliance on Feb 1 and a Unity Earth Lift Off Concert and Celebration at the United Palace in New York City on Feb 2. To review the overall plan for WIHW arrow through this Prezi presentation. With over 75 members, the SINE alliance now works its magic on the 2019 WIHW. SINE continues to produce breakthrough results in support of each other showing that the power of Collective Empowerment is palpable and the joy of making waves together is fun and mutually rewarding! For example, in December 21st, World Spirit Day, UNIFY organized a Global Synchronized Meditation. Over 50 SINE member Facebook pages kicked off the livestream and the SINE Wave led to over 500 shares. During 2019 WIHW we will play Let’s Make Waves! like we never have before! 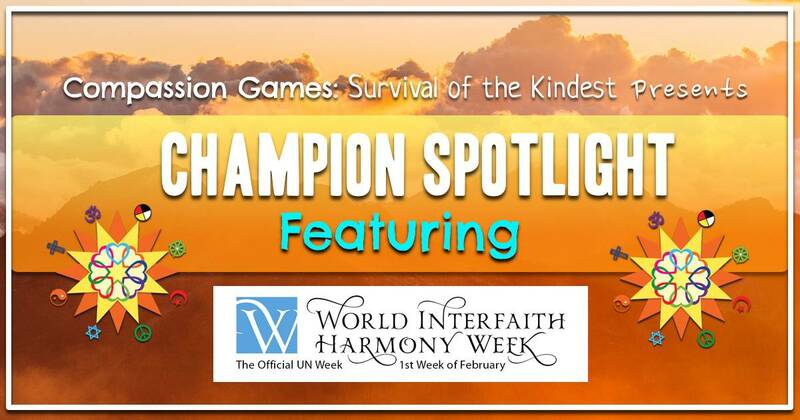 Sign Up to Play in the 2019 World Interfaith Harmony Week. We are also supporting the 7 Days of Rest and Reflection as a powerful way to start our year and connect the first week of January with the first week of February. We are thrilled to share the vision and celebrate King Abdullah II of Jordan from U Day Festival Ethiopia: Land Of Origin on behalf of hundreds of spiritual leaders from around the world, we pass you the Compassion Torch as a spotlight Champion Of Compassion. World Interfaith Harmony Week is an anchor and inspiration to why we are coming together during this first week of February 2018. Thank you for keeping the interfaith flame alive since 2012. 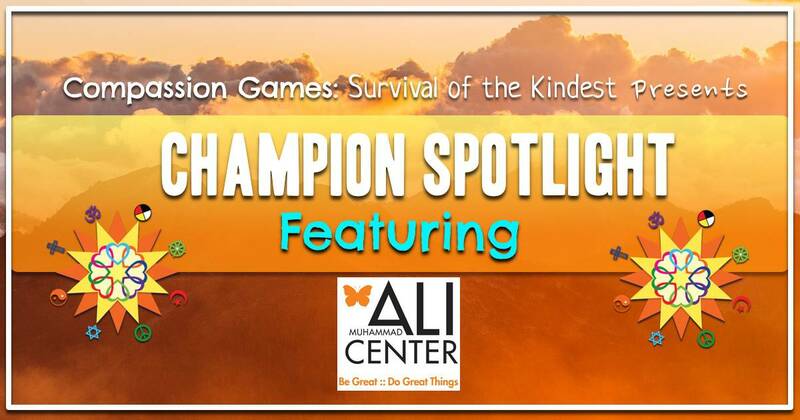 We are thrilled to announce that at this time Champion Of Compassion is giving communities and teams around the world the opportunity to win $50,000 for there service projects (register your project here! Game On). He offers this to communities every year during World Interfaith Harmony Week. Bravo to you and your generosity for making peace and cooperation a priority. See here some of the amazing stories of how King Abdullah II has given through the years here. See the many events happening around the world at this time honoring Interfaith and where you can add your event too. Here is a video about World Interfaith Harmony Week in 2018 from HRH Prince Ghazi. The World Interfaith Harmony Week provides a platform—one week in a year—when all interfaith groups and other groups of goodwill can show the world what a powerful movement they are. The thousands of events organized by these groups often go unnoticed not only by the general public but also by other groups themselves. This week will allow for these groups to become aware of each other and strengthen the movement by building ties and avoiding duplicating each other’s efforts. Learn more about World Interfaith Harmony Week 2017 at the website. Visit on Facebook and Twitter. Imam Jamal Rahman, Pastor Don Mackenzie, and Rabbi Ted Falcon — the Interfaith Amigos — started working together after 9/11. Since then, they have brought their unique blend of spiritual wisdom and humor to audiences all over the U.S., as well as Canada, Israel-Palestine, and Japan. You will see why these three extraordinary men are champions of compassion and global teachers on embodying Interfaith below in one of there Ted Talks. The Interfaith Amigos present a crucial message in their unique humorous style, helping participants appreciate the promise and the problems of the interfaith experience. Since 9/11 we have had the good fortune to work closely with Rabbi Ted Falcon, Imam Jamal Rahman, and Don Mackenzie who have come to be known as the “Interfaith Amigos”. They have helped many recognize the pitfalls while learning and understanding how to engage with people who walk on different faiths and carry different beliefs. Finding the unity in diversity that comes from appreciating different nationalities and cultures is a critical skill of our time. 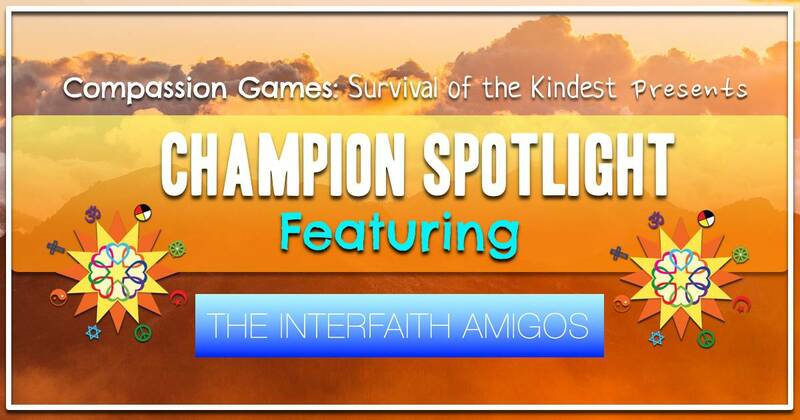 Through their books, presentations, and workshops the Interfaith Amigos are a cultural treasure offering wisdom and guidance in learning how to bridge this divide. We are honored to pass the Compassion Torch to the Interfaith Amigos for their leadership and partnership in creating a more just, peaceful and sustainable world. Finding Peace through Spiritual PracticeThe Interfaith Amigos’ Guide to Personal, Social and Environmental Healing. We are thrilled to be passing the Torch of Compassion to this extraordinary leader, Megan Gaiser! 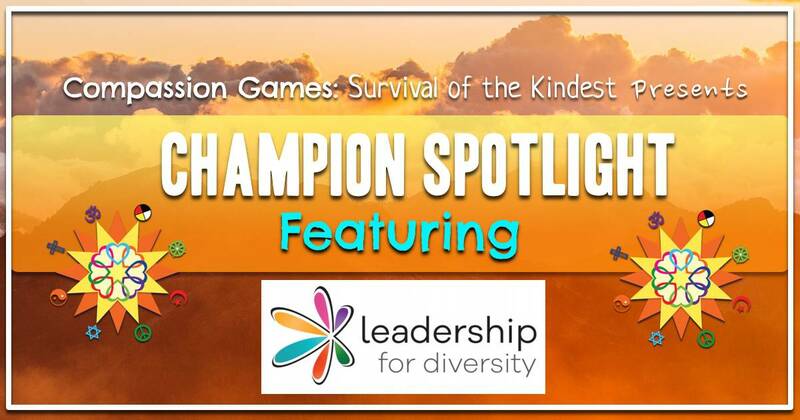 Today we are passing the Compassion Torch to Megan Gaiser, the Founder of Leadership For Diversity and Global Women Leader in the Gaming Industry. Megan recently founded the 21st Century Leadership for Diversity network, a collective force across industries championing leadership for the greater good. Check out this list of leaders from around the world that have joined this movement taking a stand for diversity! This is a powerful place to be inspired by action with many resources on diversity and compassion leading the way on the resources page. As a way to elevate our celebration of Megan, you can join the Network of Leaders for Diversity too by signing up HERE! You can also follow the action on Twitter, Facebook, and Website. Thank you for making such a vibrant positive impact in the world! Megan Gaiser, you are a Champion Of Compassion! We are thrilled to light the Compassion Torch for the profound impact and infinite ripples of peace coming from Unity Earth! Thank you Unity Earth for bringing spiritual leaders, ambassadors, and musicians together in Ethiopia during World Interfaith Harmony Week! 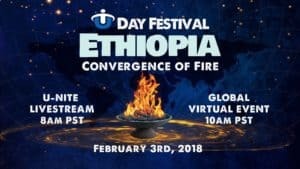 We celebrate Unity Earth for inspiring a convergence of compassion, peace, and unity fire together for the first time in history in the Ethiopia Land of Origin January 26th – February 7th. We are deeply grateful to participate with Unity Earth at U Day Festival on the grounds of Ethiopia this week. A UNITY EARTH initiative, U Day 2018 Ethiopia: Land of Origins includes events at sacred sites, musical performances and a special gathering at the African Union in Addis Ababa. Representatives are attending from Aboriginal Australia, Indigenous leaders from Asia, North and Central America, Buddhists Monks from Thailand, Sikhs, Bahai, Sufis, Tibetan Buddhists and Hindus from India, along with Jews, Christians, and Muslims. All are gathering in Ethiopia in a grand dance of music and spirituality to celebrate our colorful and diverse human family while advancing universal values of Peace, Compassion, and Unity. Learn about how to get involved in this Global Event virtually here on February 3rd. UNITY Earth provides the philosophic foundation and framework for a wide variety of activities and organizations. Through festivals, events, education, and community building, UNITY Earth is dedicated to a grassroots approach to spreading the profoundly simple truth that we are one. We are one people, one human family, sharing one planet. Unity Earth is committed to facilitating greater intercultural harmony and a deeper appreciation of humanity’s connection to nature. 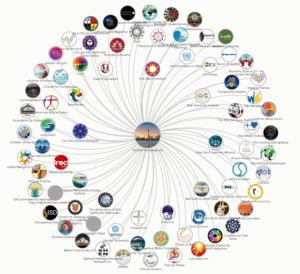 There are so many inspiring individuals and organizations doing the hard work and taking strides towards greater unity on our planet, our aim is to strengthen and connect this grassroots movement. Unity Earth provides a roadmap to 2020 which includes many large events around the world including; Thailand in 2012, Ethiopia in 2018, India in 2019, Jerusalem in 2020 and more! See the detailed map to Unity Earth HERE. Thank you for all you are doing and blessing on this Earth! Follow Unity Earth on Facebook, Twitter, and Instagram. One of the main solutions through this movement is for educators called the Choose Love Enrichment Program Here are some of the incredible global impacts of this program so far. 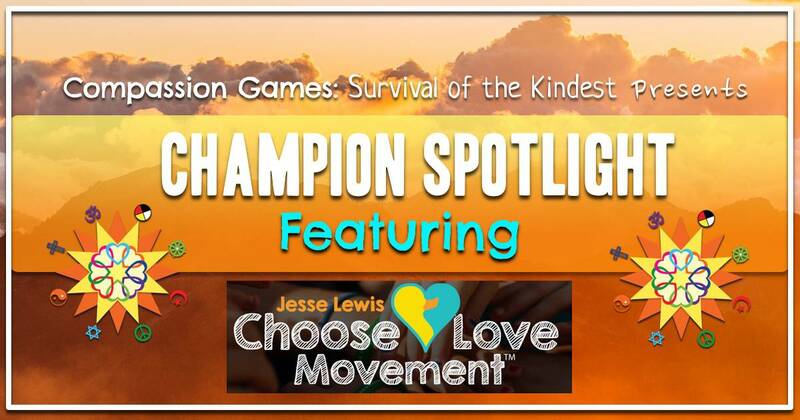 Agents of compassion here is an opportunity to get to know Scarlett’s personal story that brought her to creating this Choose Love Movement in this video. Lets shine light today on Scarlett Lewis by supporting this movement to continue to positively impact youth, families, and educators all over the world. 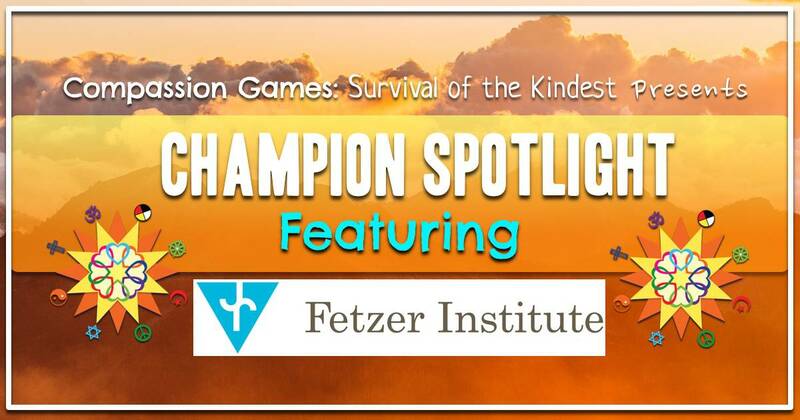 It could start today by sharing this spotlight article, sharing how she has made a difference in your life on the Compassion Report Map and also donate to the movement. Your contributions will help keep the Choose Love Enrichment Program free to all educators. Your generosity will ensure that no student is denied this life-changing and even life-saving resource. You can “Choose Love” even more with Scarlett Lewis on Facebook, Twitter, and Instagram. 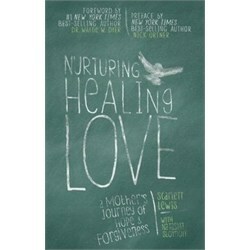 You can also learn more about this movement through Scarlett’s book, Nurturing Healing Love: A Mothers Journey of Hope and Forgiveness. This book has a featured forward from Dr. Wayne W. Dyer. Thank you for lighting up the world with love and compassion Scarlett! You inspire us to keep all our hearts in the Best Game On Earth! We are thrilled to pass the Compassion Torch to Karen Palmer today celebrating her as a phenomenal, Champion of Compassion during the 2018 World Interfaith Harmony Week Coopetition. 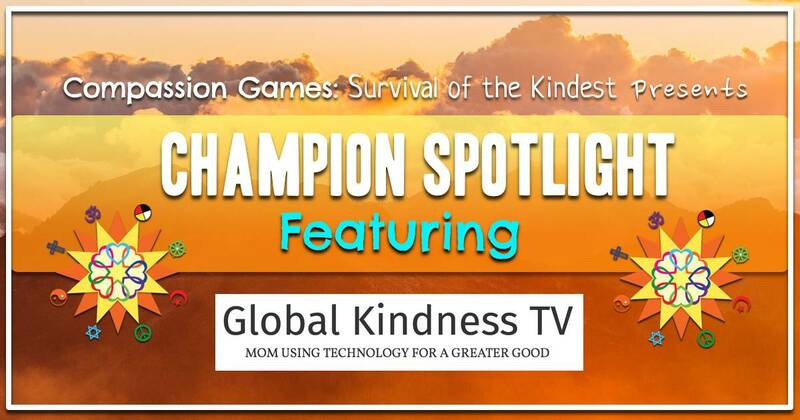 Please join us during these seven days sharing this article on your favorite social media platforms with what you appreciate about Karen and report your reflections on how she, and Global Kindness TV has impacted you in your life on the Compassion Report Map. Here we are passing Karen Palmer, Founder of Global Kindness TV the Compassion Torch! You will also learn more about what makes her tick, who she passes the torch onto (Rick Ulfick from We The World), Guided World Peace Meditation and so much more! She is also Co-Founder of Global Peace United and a partner at Charter for Compassion. She features both in her new book, “Co-Creating Heaven On Earth” www.globalkindnesstv.org/heaven She believes in being a #voiceforthevoiceless and helps many other non-profit organizations and animal rescue. 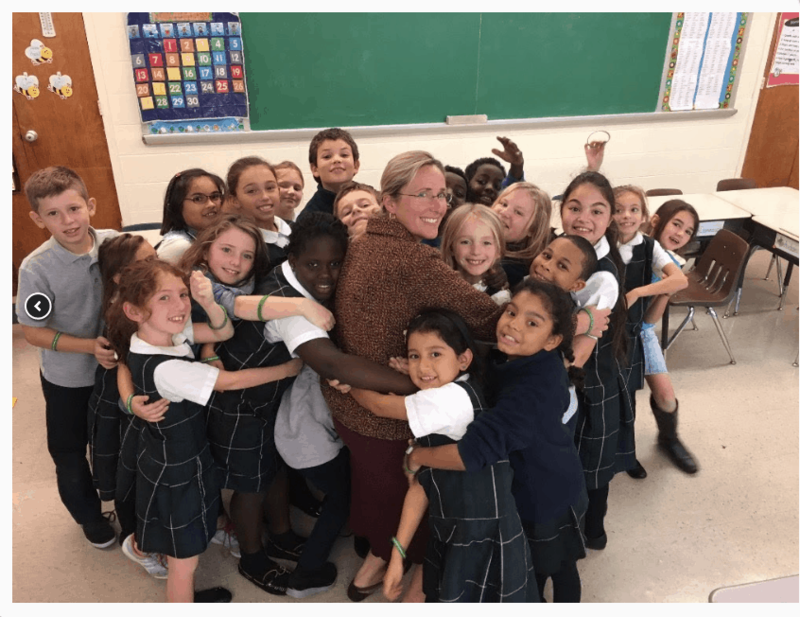 Her non-profit organization is dedicated to bringing environmental education, animal advocacy, mindfulness, kindness, and compassion to schools worldwide. She combines Ancient Wisdom, Technology, music, and Modern Science to help make OUR world a more loving place. She also helps dreamers, visionaries, change agents, and peacemakers find their voice and share their message and gifts globally. She uses hashtags, social media, and technology to help raise the levels of joy, love, kindness, and peace. The intent of this article is to celebrate Karen Palmer! 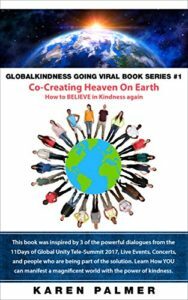 We invite you to take action today by sharing this article far and wide, follow her below and buying her new book that will continue to help make Global Kindness go viral and expand her movement! During Harmony Week, Karen Palmer will be interviewing amazing people and having activity going on at Spirituality Gone Wild FB Page. The best way to stay informed is to follow her at all the locations below. Whether we’re aware of it or not, we are deeply interdependent and interconnected. What would it be like to live that way—as if our borders (personal and otherwise) extended beyond our body, neighborhood, state, or nation, spilling into each other as a river into the sea? How might we move beyond our self-imposed borders to build and deepen authentic, sustainable connections? Tell/show us how you cultivate unity. Tag your photos/responses with #compassiongames. Do you need justice in order to forgive? With gratitude from the Fetzer Institute! “Our work is about helping build the spiritual foundation for a loving world. Our goal is to help catalyze and support a broad-scale, spiritually grounded transformation from an ego-centered way of being grounded in separation and fear to an all-centered way of being grounded in oneness and love. Visit fetzer.org for more information. Follow Fetzer Institute on Facebook, Twitter, and Instagram. 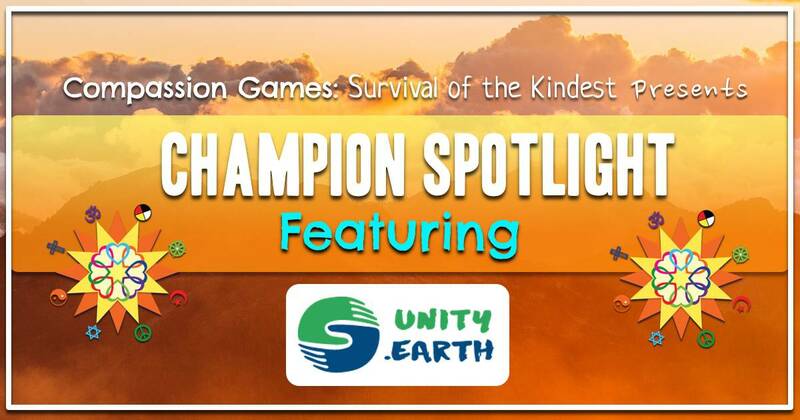 The Global Compassion Torch is in the hands of Champions of Hope and Earth Protectors. We welcome the Arrival of Ms. Bobbi Jean Three Legs, Hunkpapa Lakota, Standing Rock Sioux Tribe, Chris Walton and other youth runners from the Oceti Sakowin, the Seven Council Fires of the Great Sioux Nation, and local 7th Generation Runners as they run across the Golden Gate Bridge in the 7th Generation Inaugural Wopida Run and Ceremony today. This is available from the live stream on Compassion Games FB Page. Sharing the Spirit of Standing Rock, Protecting and Restoring Mother Earth and Building a Global Fire of Compassion. A coalition of partners is hosting the Inaugural Global Wopida Run, led by Great Sioux Nation Youth Runners, across the Golden Gate Bridge carrying the Global Compassion Torch of solidarity, hope, and the spirit of Standing Rock to the Great Meadow at Fort Mason on Sunday, February 5th at 12:00 PM. The 7th Generation Prophecy promised that this generation of Indigenous young people, guided by their Elders, would rise up and inspire other young people of the Human Family to join them in unprecedented, unified, prayerful action to Protect and Restore Mother Earth. The Dakota people have a special ceremony, Wopida. Wopida is a sacred sharing of gratitude, a connecting with all beings through thanksgiving for all the countless gifts and blessings from the Creator in our lives. Often this includes sharing food and giving gifts of thanksgiving to those who have sacrificed for the upliftment of the People. The purpose of the Global Wopida Inaugural Run is to be grateful for whatever Life bestows on us, knowing that every test and challenge comes into our lives for our spiritual growth and development to protect and restore Mother Earth. This spiritual understanding of Wopida requires each of us to live with honor, compassion, love, respect and harmony with all life. The coalition is hosting the 7th Generation Runners in San Francisco during World Interfaith Harmony Week. 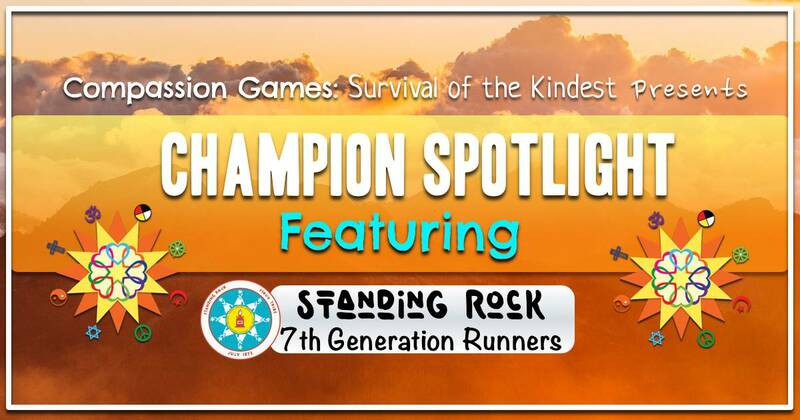 Ms. Bobbi Jean Three Legs, Hunkpapa Lakota, Standing Rock Sioux Tribe, Chris Walton and other youth runners from the Oceti Sakowin, the Seven Council Fires of the Great Sioux Nation, will be joined by local 7th Generation Runners from the Four Directions. The Runners will share their enthusiasm, vision, and words to co-create a just, sustainable and harmonious world by building a global fire of compassionate action to unite the Human Family. We will pass the Global Compassion Torch as part of the Wopida Ceremony taking place on the Great Meadow. Traditionally, Indigenous Peoples across the Americas ran on foot to carry important messages. The Inaugural Global Wopida Run shares the news that at this time of great global change, the promised time has come for the 7th Generation to arise and inspire all generations to heal and resolve “Standing Rocks” everywhere on Mother Earth. Guided by their elders, the Runners carry the message that we are one Human Family, interrelated with all Life, and share a common destiny. The Hurt of One is the Hurt of All, the Honor of One is the Honor of All. The coalition of partners include (alphabetical): Compassion Games International, Women & Girls Sector of Charter For Compassion, Cultural Conservancy, E2K, Fetzer Institute, Four Worlds International, Four Worlds Europe, Pachamama Alliance, Seat of the Soul Institute, Seeding Sovereignty, The Shift Network, Unify, United Religions Initiative, and We The World. * To share the Spirit of Standing Rock and intent of the Global Wopida. * To share the enthusiasm, the prophecy, vision, and words of the 7th Generation to ignite unprecedented, unified, prayerful, and enduring compassionate action to Protect and Restore Mother Earth. * To unite the members of the human family to co-create a just, sustainable and harmonious world. * To ignite a global fire of gratitude, love, and thanksgiving everywhere all at once.